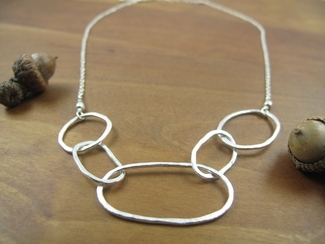 5 Hand crafted sterling silver links carefully hammered and shaped. Each link is a little different from the one before. Please allow for slight variations from the necklace in the picture. Length: 16" with 1 1/2" ext.